We all enjoyed a very interesting evening on Monday night. Katie told us how she is inspired by plants and gardens and the effects of light, shade and movement. She also has a fascination for shoes and bags! Katie's family has inspired her interest in fabrics, with her mother being a dyer and weaver. 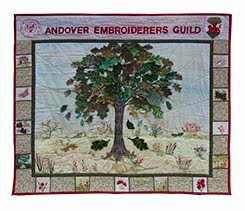 Katie herself is a dyer and painter and discovered machine embroidery at Urchfont Manor College with Sandra Hardy. 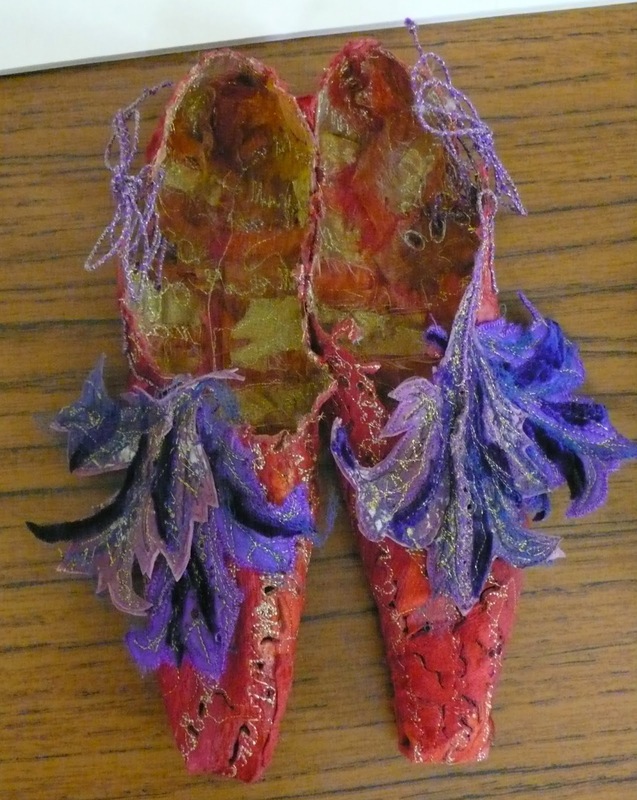 We all had an opportunity to examine her shoes and bags as they were passed round and were amazed at the beautiful colours and textures that Katie has created. 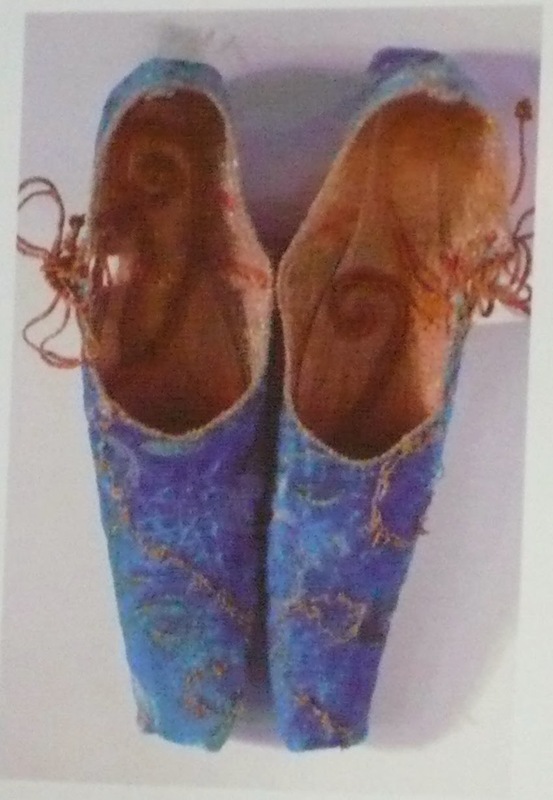 The shoes below were inspired by a trip to Venice. 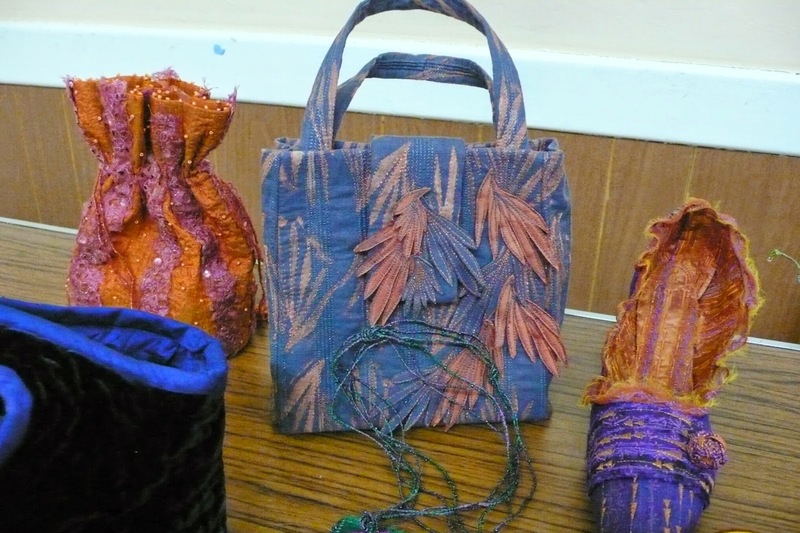 Her bags are very colourful and although on first inspection they look a simple design, close up it is obvious how much hard work went in to creating each one. Katie also brought with her some 3-dimensional vessels. 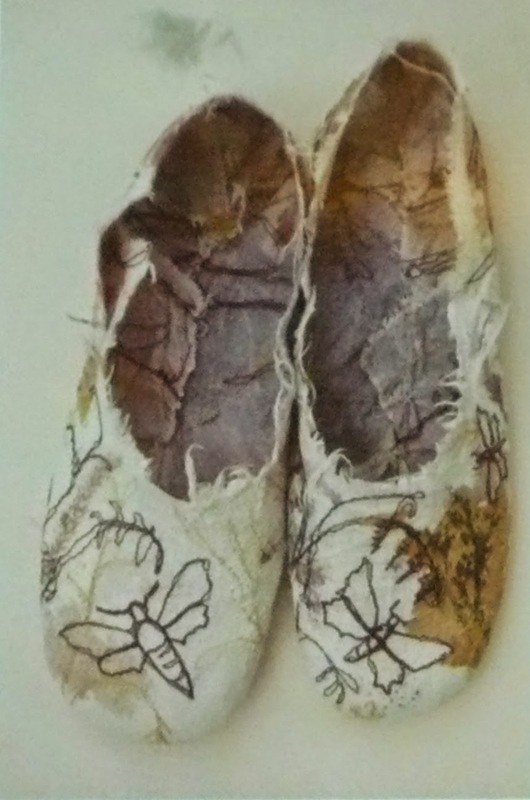 These are worked in metal on soluble fabric. Again Katie didn't disappoint us with her choice of colours! 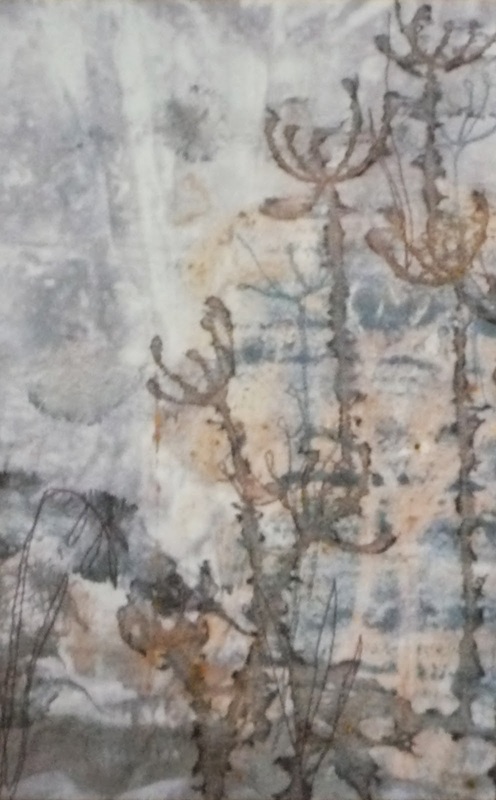 Having worked in 3 dimensions, Katie has returned to 2 dimensional work, layering with print and stitch. Katie was kind enough to let us ask questions during her talk and there was a lively discussion about her work, with Katie and members sharing ideas. 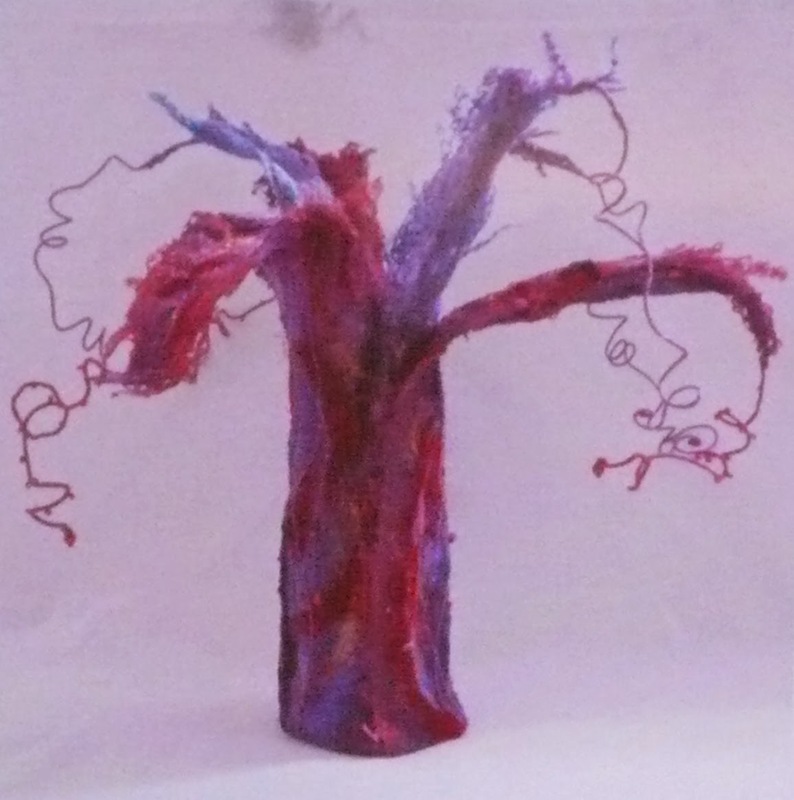 Katie is a member of the Open Studios near Newbury, so many of us hope to visit in the near future. Thank you Katie for a super evening, we all had a very enjoyable time.